In 2016 alone, they won multiple awards including ‘Best North Asian Airline’ and ‘Favourite Inflight Entertainment’ to name but a few. 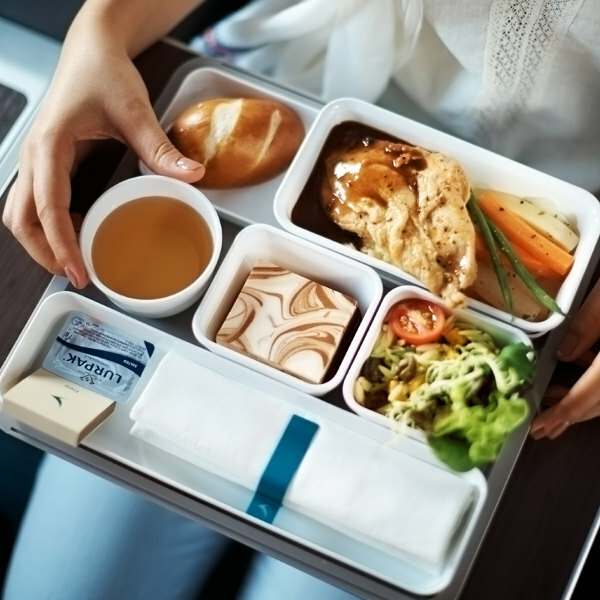 Premium Economy passengers are greeted with their drink of choice, a hot towel, enhanced entrées, complimentary bottled water, plus a variety of snacks throughout the flight. With Asia Miles, you earn and redeem points to save big on your next trip. Marco Polo Club gives you exclusive access to travel benefits. 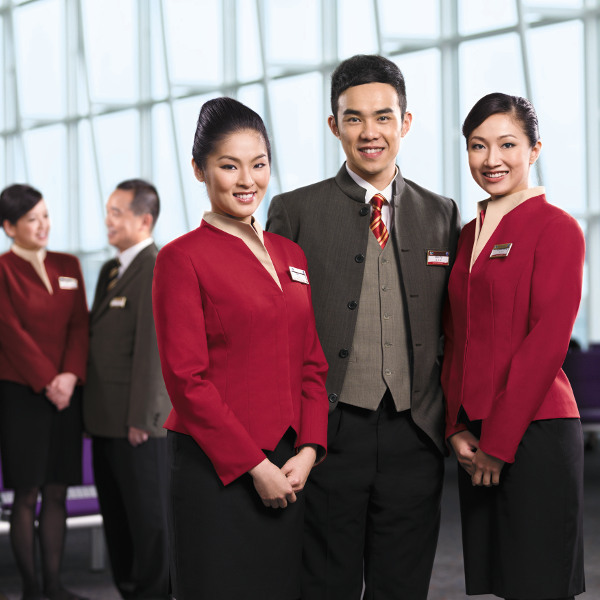 Cathay Pacific is the flagship airline of Hong Kong and has won Airline of the Year awards for many years since 2009. As a multi-awardwinning international airline, Cathay Pacific continues to provide exceptional services to travellers at affordable prices. Cathay Pacific’s hub is in Hong Kong – the perfect gateway for travelling to the Far East. Hong Kong International Airport is also known as ‘Chep Lap Kok’. This is so because it was built on an artificial extension of the island of Chep Lap Kok and commenced operations in 1998. Cathay Pacific Airlines offers First Class, Business Class and Economy Class flights so if you’re looking for the cheapest flight to Asia or you’re looking to travel in the lap of luxury, Travelstart can help you with your Cathay Pacific flight booking. Also, look out for our regular Cathay Pacific flight sales. Book Cathay Pacific flights to Hong Kong, Denpasar Bali, Tokyo and other exciting destinations! Economy: Cabin Luggage: One 7kg bag of maximum dimensions of height: 23cm x width 36cm x length 56cm. Small items such as handbags, laptop bags, small backpacks, camera bags or briefcases all also permitted aboard the aircraft. Checked Baggage: One 30kg bag per passenger. Premium Economy: Cabin Luggage: One 7kg bag of maximum dimensions of height: 23cm x width 36cm x length 56cm. Small items such as handbags, laptop bags, small backpacks, camera bags or briefcases all also permitted aboard the aircraft. Checked Baggage: One 35kg bag per passenger. Business: Cabin Luggage: One 10kg bag of maximum dimensions of height: 23cm x width 36cm x length 56cm. Small items such as handbags, laptop bags, small backpacks, camera bags or briefcases all also permitted aboard the aircraft. Checked Baggage: One 40kg bag per passenger. First Class: Cabin Luggage: One 15kg bag of maximum dimensions of height: 23cm x width 36cm x length 56cm. Small items such as handbags, laptop bags, small backpacks, camera bags or briefcases all also permitted aboard the aircraft. Checked Baggage: One 50kg bag per passenger. Members of The Marco Polo Club and Asia Miles are reminded to quote their membership numbers at the time of reservation. All Cathay Pacific and Cathay Dragon flights, including codeshare flights operated by Cathay Pacific / Cathay Dragon Exceptions are chartered flights, trains and codeshare flights operated by their partner carriers. Please keep your passport details on hand as certain countries require you to input your passport and emergency contact details. To check in online, passengers’ travel documents must be at least valid for 6 months from the date of return. Mobile check-in is also available which will allow you to send your boarding pass number straight to your mobile device via SMS or email. Cabin classes available in Cathay Pacific fleets are as follows: Economy, Premium Economy, Business and First Class. For entertainment, you can count on hundreds of selections on your StudioCX inflight entertainment system. Plus, you can use the multi-port connector to stream audio and video from your personal devices to your new 10.6-inch widescreen Personal TV with a noise-cancelling headset to enhance your enjoyment. Cathay Pacific together with its subsidiary airlines: Air Hong Kong and Cathay Dragon service 190 destinations in over 42 countries and territories across Asia-Pacific, Europe, The America’s and The Middle East. Fly Premium Economy Class with Cathay Pacific Cathay Pacific’s new Premium Economy Class is a total enhancement of Economy Class experience -- and is designed to give you more comfort, space and personal attention throughout your entire journey. Before you board, you’ll appreciate dedicated check-in counters and priority boarding at the gate. You’ll also be able to pack more – or bring more home – with an increased baggage allowance: from 20kg to 25kg (weight system) or two pieces of baggage from 23kg to 25kg each (piece system). Relax in a Wider Seat Their Premium Economy Class cabin is a cosy haven of 26 to 34 seats, allowing their flight attendants to offer you more personal attention than ever. There’s more room between your seat and the seat in front of you, eight inches of recline to make resting and sleeping more comfortable, and the headrest has 4-way movement for excellent support of your head and neck. Front-row seats have a leg rest, and other seats have a three-position footrest which help you find a variety of positions to make your flights as enjoyable as possible. You will be greeted with a welcome drink of champagne and juice and a hot towel, and you will enjoy enhanced entrée and complimentary bottled water, plus a variety of snacks throughout the flight. A larger meal table makes working and dining more of a pleasure, and a cocktail table provides more room during the meal service. There is extra storage space for all those personal items you’d like to keep close at hand, and an environmentally friendly amenity kit comes with toothbrush and toothpaste, socks and an eyeshade – which is a perfect complement to your larger pillow when it’s time to sleep.